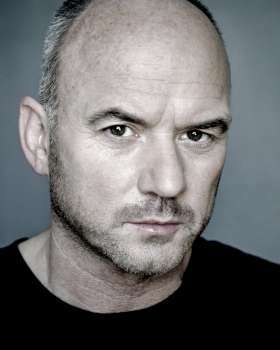 Mark's extensive television CV includes leading roles in VERA (ITV), BABYLON (Channel 4 directed by Danny Boyle), SILENT WITNESS (BBC), GOOD COP (BBC), THE RUNAWAY (Sky Television), MOVING ON (LA Productions for BBC), EMPATHY, (Company Pictures) STRICTLY CONFIDENTIAL (Yorkshire Television), NEW TRICKS (BBC). Recent film includes ROUTE IRISH, ONE NIGHT IN ISTANBUL, U WANT ME 2 KILL HIM? and KELLY + VICTOR. Stage productions include CLYBOURNE PARK (Mercury Theatre/UK Tour), HOPE (Royal Court Liverpool), BOUNCERS (Royal Court Liverpool), WILLIAM TELL (Sheffield Crucible), THE ANNIVERSARY (Liverpool Everyman & Playhouse) & FAST FOOD (Manchester Royal Exchange).